The Grace Quilt is a fun and eccentric combination of variously sized patterns and patches. 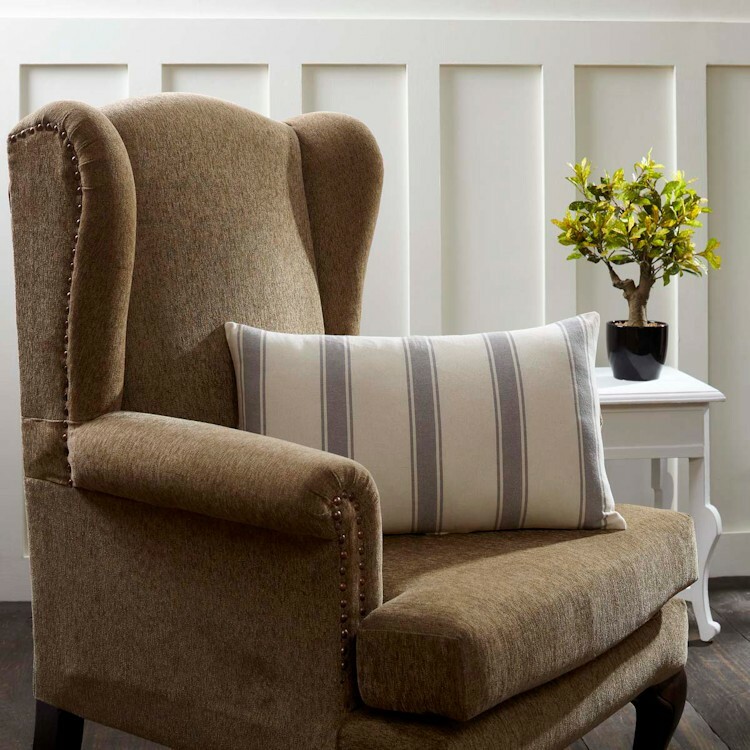 Elegant enlarged ticking stripes - a farmhouse staple - are spaced among checks and windowpanes and encompassed with a ruffled burlap border, giving the quilt a breath of visual fresh air. 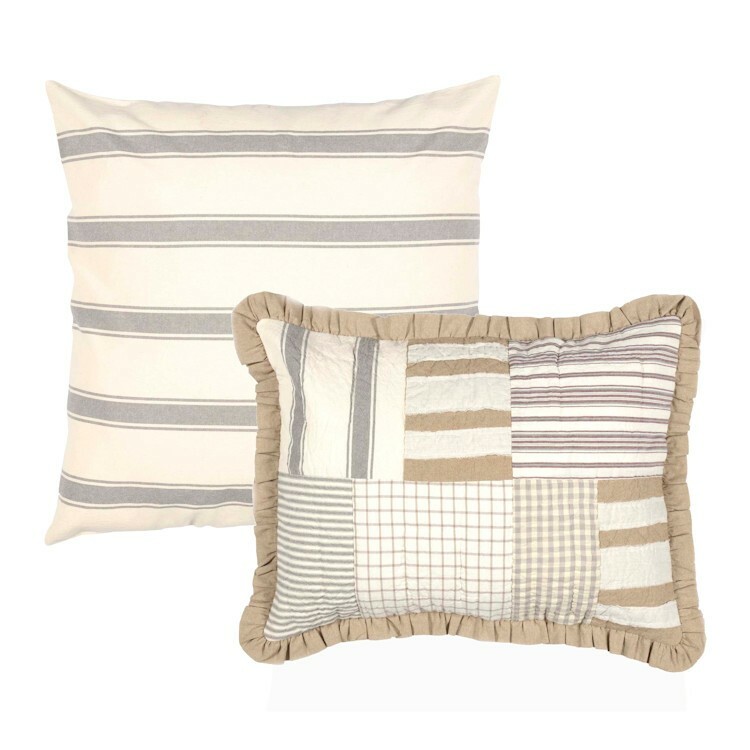 The Irregular block layout is accented with random squares of frayed creme cotton flax strips appliqued on a natural-colored chambray. 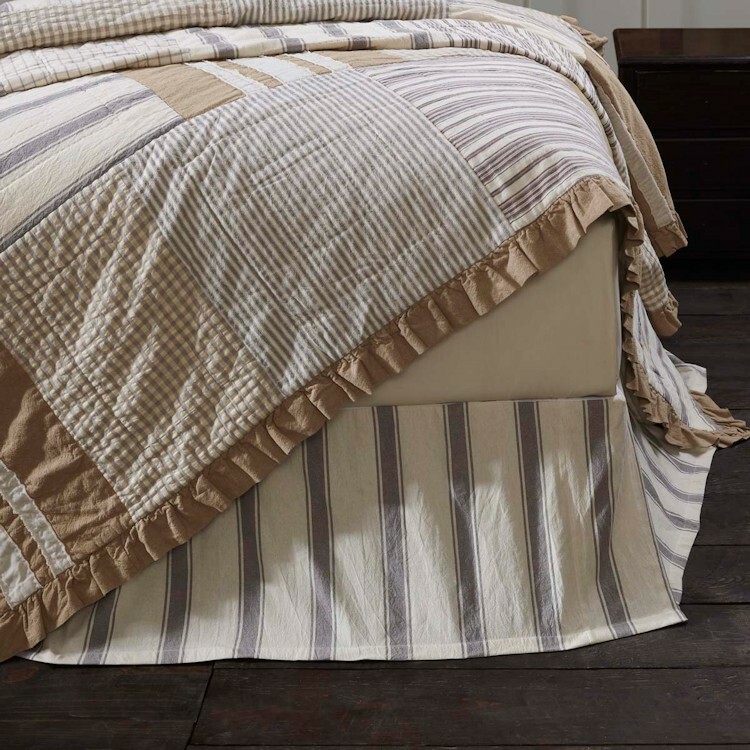 Be sure to add shams and a bed skirt for a unified look.